There were a few strange results in the second round played last week. In the Championship section Louis beat Michael. Apparentlly Michael touched a piece and was obliged to move it. This is competition chess and all rules apply! Hywel was somewhat lucky to win against Anthony. The latter had a R for 2P advantage but in time trouble overlooked Hywel’s advancing pawn. 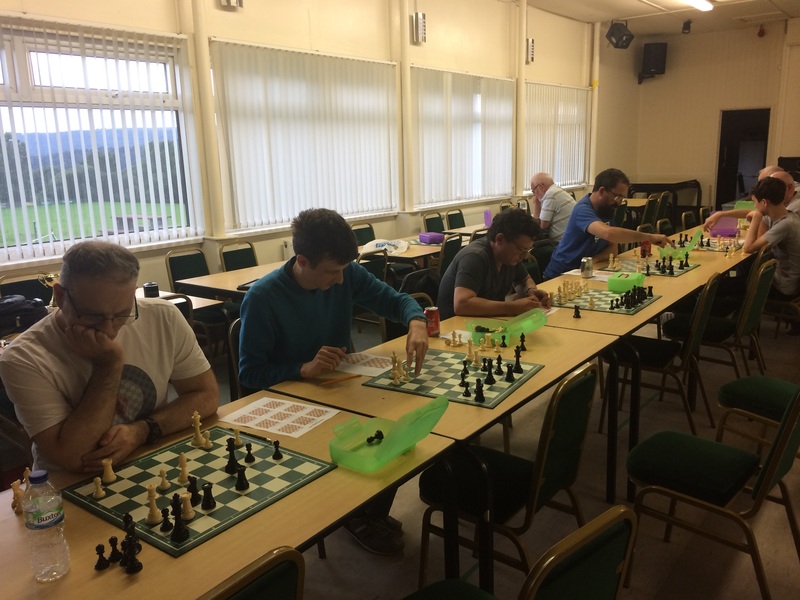 In the Major/Minor, John Davies beat Dennis though that was not without a bit of a struggle, and newcomer Andrew beat Dylan. Interesting! Byron, Stephen and myself have games to catch up so please try and play outstanding matches before round 3. I note that the second round of this tournament will be played in our club on 21st November. This is a good tournament to take part in where all sorts of grades compete. Think about having a go. It would be a shame to have the event in our club without any home participants. We may not be thriving with numbers but we certainly have a lot of variety at our club. Anthony Beck supplied the latest offering – 10 chess puzzles to solve. Everybody worked at their own pace and it wasn’t a competition. I know some players who based all their training on puzzle solving so this was a good exercise to get our brains working before the season starts. One of the problems proved particularly difficult to everybody until Anthony realised he had omitted one of the pawns!!! Good fun. We even solved the mate in 16+. Thank you Anthony for a very good evening. This was the final puzzle, give it a go, black to move and win! Next week we have a 960 tournament. This is where the pieces come out of a hat and are set up on different squares to normal. Opening theory is non-existent so all those swats are thrown out of sinc. Every Tuesday Evening, All Welcome!